On Friday I went to my first ever blogger event. I was kinda nervous but mainly excited I had heard so many good things about previous Lush events so I couldn't wait. I first met with Kerry, Alice, Charli, Briley and Amy in Starbucks for a drink. At 7 we all headed over to Lush a bit late and they had already closed the doors opps. First things first the wall of Christmas gift boxes. This one caught our eye. Its a mini advent calendar for the 12 days of Christmas filled with loads of festive goodies and how beautiful is the packaging? An old classic the father Christmas bath ballistic. Next to it is a new one for this year which is inspired by the northern lights and its being demonstrated in my above photos which do not do it justice. It has all my favourite colours in with loads of mini stars then the more blue and greens appear just like the sky during the northern lights it is just magical one of my favourites from the new range. 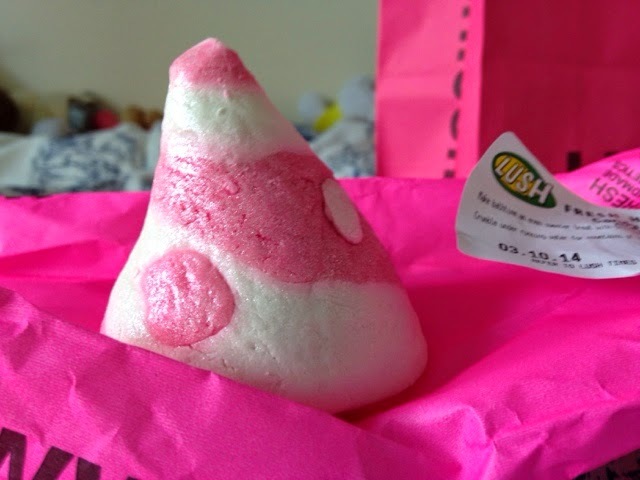 Now onto my favourite part the bubble bars. Starting with Caddy mountain which I love. How cute is the Christmas hedgehog? Theres a few familier faces like the melting snowman and Christmas eve ( I had too fellow bloggers ask me where the one was and I directed them I really think I should be working at Lush haha) but a lot of new ones like Drum and Hedgehog. Ah Snow Fairy is back in all its glory. A new one (I think) called Hot Toddy which is a much spicier one than snow fairy and reminds me of mulled wine. Lots of new bath ballistics some a back from last year some are complelty new. This really new product really excited me as I love the massage bars and I love snow fairy so this year they have decided to combine the two and its amazing. How cute is this limited edition Fun bar to create your own little snowman or penguin then but him in the bath and the best bit 10p goes to the Lush fund which is a great cause. My first mince pie of the season (only 3 days into October I know its mad) and a drink inspired by Snow fair which was a lovely raspberry lemonade with glitter in...amazing. They really do love Snow Fairy! A very glittery pumpkin for Halloween. A lovely member of staff demonstrating the Holly Golightly bubble bar. Oh look its me with the wonderful Jaye and Dina who I have spoken to a lot on twitter and it was so lovely to meet in real life. With the beautiful Charlotte from http://www.charlotteclothier.com/ who I work with on the @welshbloggers_ and I love her blog so it was awesome to meet her. I was surprised and how there was nothing organised for us all together like a group as there was so many girls I didn't get a chance to speak to but I had a lovely time and going to an amazing event like this made all this blogging feel real more than just an online world. We were kindly given goodie bags at the end too. 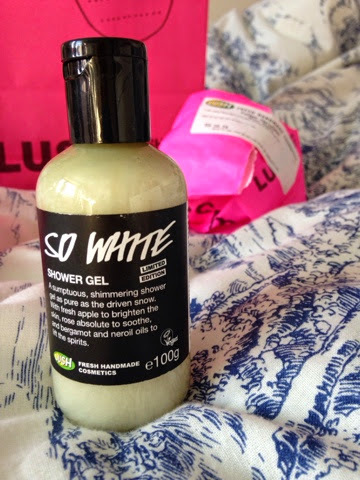 This is a new Christmas shower gel that's very fruity and fresh. I wouldn't normally go for this as I hate apples but I'm sure I will get lots of use out of it. 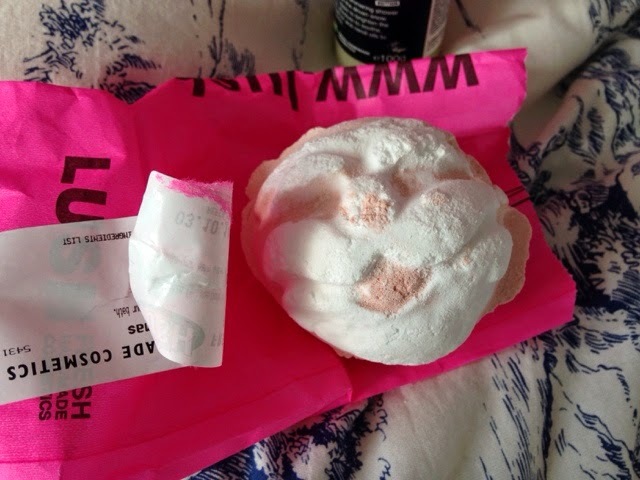 Here we have the Father Christmas bath ballistic which is great and I also got my favourite bubble bar ever candy mountain which is amazing. This is such a great goodie bag as they aren't samples. I hope you enjoyed this post and let me know if the comments your favourite products from the new ranges at lush. Well Charlotte, I'm extremely jealous, it looks like you had an amazing time! It's so pretty in the store, I love the Christmas store decorations! We had our youngest daughter's b’day party at this place. Everything was spot-on perfect, the venue, the food, the view, the service and fortunately even the weather was good for events in New York.